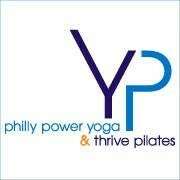 This style of slow, relaxed stretch based yoga is the perfect complement to Philly Power Yoga's signature style. There are no upcoming “Wednesday Afternoon Flowdown” classes on this day. Great stretch, but guess I was hoping for more of a workout with tired muscles. The mats also that u get if you use the studios are super smelly... Nice place though. Colleen was so welcoming and has such a calming demeanor. This class is perfect to wind down and get a great stretch, especially if youre lacking flexibility. Some movement and some stretching. Great combination and my hips feel ready and open for more intense exercise tomorrow. Great class for a little flow and a whole lotta stretch.